Views are remarkable in every direction from this newly constructed home, capturing the beauty of the surrounding Stagecoach landscape. Designed with functionality and maintenance-free living in mind, it offers you the best in living the mountain lifestyle. The inviting covered front porch welcomes you into the spacious great room with 17-foot ceilings. Invite your family and friends into your fabulous, yet functional kitchen with granite counter tops, stainless steel appliances and large pantry. You will appreciate the spacious and open floor plan with a main level master bedroom and office. Downstairs, there is plenty of room for your family or guests to spread out in the 3 bedrooms and 2 baths. 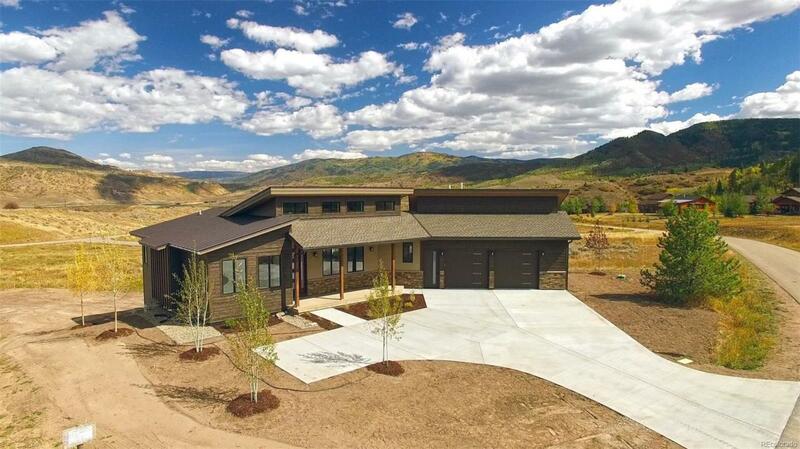 Living in the mountains, you will love the radiant floor heating throughout. Outdoor living space is plentiful, with a covered back deck extending off of your living area. High speed internet is available in the neighborhood! A paved driveway & landscaping will be completed.